Private Ernest Henry KING (4th Pioneer Battalion) was promoted to Lance Corporal. Private Percy Frederick COOPER (45th Battalion) was admitted to the 2nd Canadian General Hospital suffering from Trench Fever. Private Percy Frederick COOPER (45th Battalion) was transferred to the 3rd Convalescent Depot. 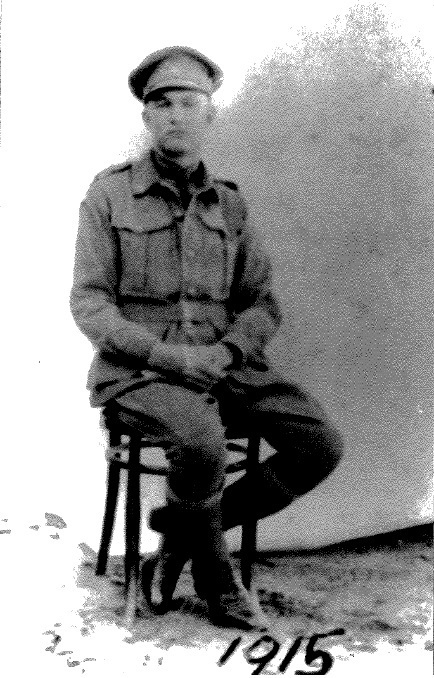 Private James Birrell DAWSON (54th Battalion) was discharged medically unfit, with a disability of an amputated right arm. Private William Charles ELLERY (45th Battalion) was admitted to the 9th General Hospital at Rouen France suffering from Rheumatic Fever. Private William Charles ELLERY (45th Battalion) was placed aboard a hospital ship for evacuation to England. Private William Charles ELLERY (45th Battalion) was admitted to the University War Hospital at Southampton England suffering from chronic rheumatism. 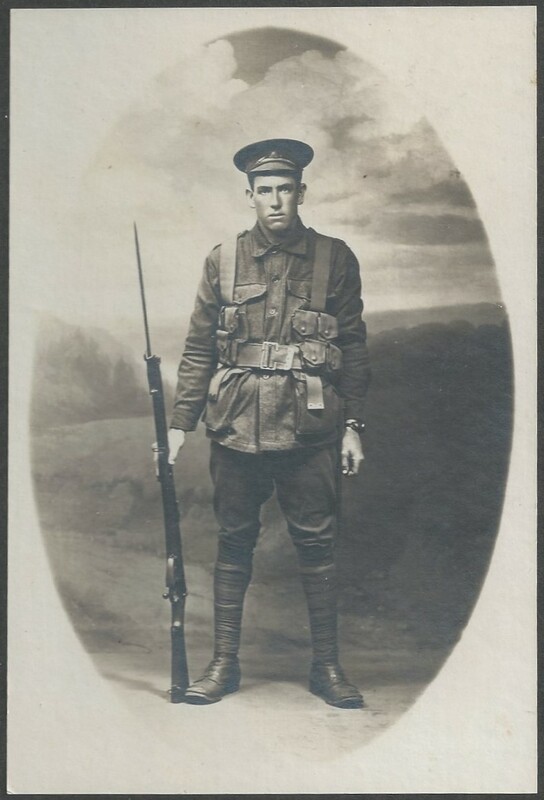 Private Jack Henry HUNT (45th Battalion) arrived in Australia aboard the H.T. Port Lyttleton for medical discharge. Jack Hunt, Lemaire Studios, Military Camp, Liverpool. Photograph courtesy of Iain and Judy Macdonald. 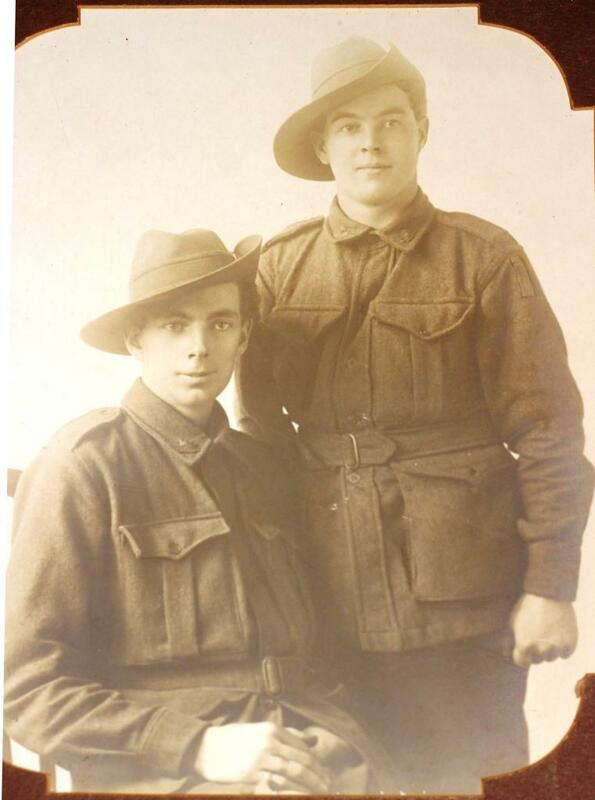 Private Joseph William EDWARDS (3rd Battalion) arrived in Australia aboard the H.T. Port Lyttleton for medical discharge. Lance Corporal James MAHER (45th Battalion) departed England aboard the Hospital Ship No. 2 bound for Australia for medical discharge. Private Sidney Stanley CANNON (4th Pioneer Battalion) departed England aboard the H.M.A.T. Runic bound for Australia for medical discharge. Private William CAIRNS (13th Battalion) left England aboard the H.M.A.T. Runic bound for Australia for medical discharge. Private Joseph John WILLIAMS (13th Battalion) was discharged medically unfit with debility. Private Leslie Reginald ANLEZARK (45th Battalion) was admitted to the 11th Australian Field Ambulance suffering from Influenza. 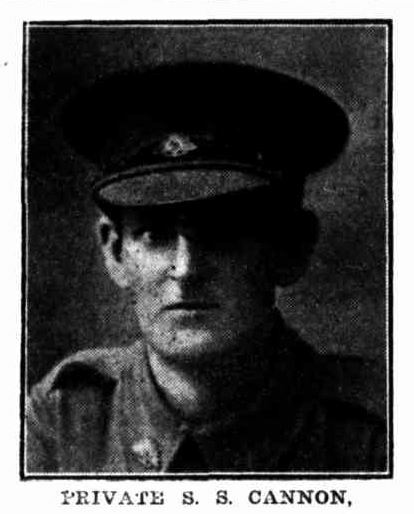 Private Harold Roy Devlin UHR (17th Battalion) arrived at Devonport England from Australia aboard the Transport Euripides. Private Joseph Francis HEALEY (13th Battalion) was discharged medically unfit with gun shot wound to the left leg, and over age. Private Robert Clyde CAMPBELL (13th Battalion) arrived in Australia aboard the Transport Berrima for medical discharge. Private Robert AYRES (13th Battalion) arrived in Australia aboard the Transport Berrima for medical discharge. Private Leslie Reginald ANLEZARK (45th Battalion) was transferred to the 1st Casualty Clearing Station with Influenza. This entry was posted in WWI Timeline and tagged Timeline. Bookmark the permalink.